Gutters aren’t something the average homeowner gives a whole lot of thought to, but if 1) your home doesn’t have them (many homes in North Texas don’t), 2) your existing gutters are in disrepair or 3) hail has damaged your roof and/or gutters, it’s helpful to learn some basics so you can make the best decisions for your home and, most likely, prevent costly damage. 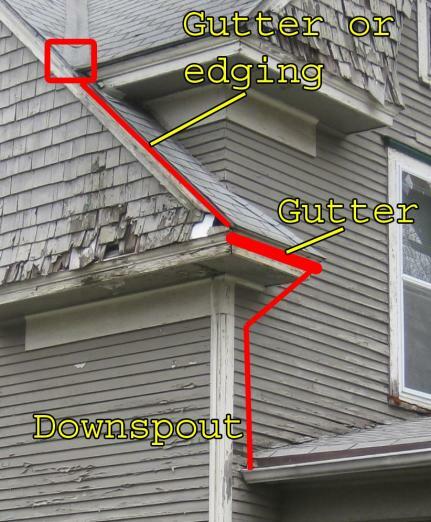 What are house gutters and what purpose do they serve? Gutters are shallow troughs fixed beneath the edge of a roof, with the sole purpose of carrying off rainwater. That sounds simple enough. 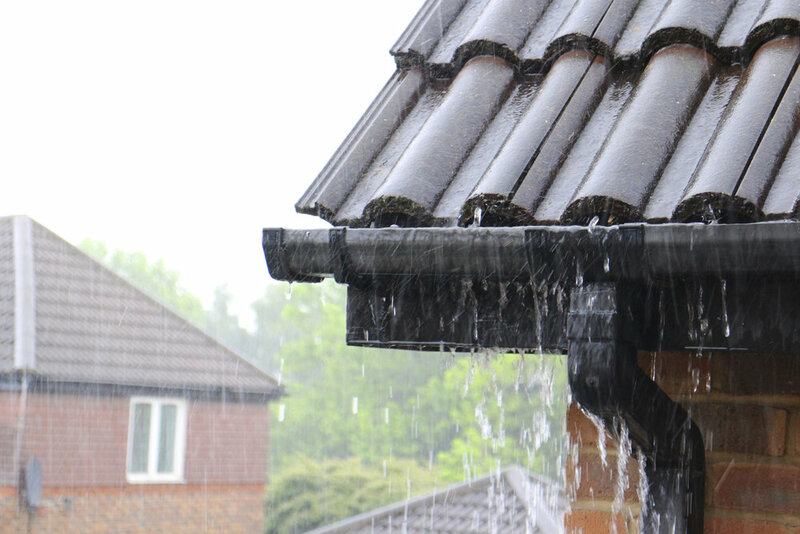 But without gutters that are operating well, you could be facing some not-so-simple (and possibly expensive) issues with your home. What problems can arise without gutters? In North Texas, we don’t typically get nice, soft rainfalls. Instead, we get long, hot dry spells interspersed with massive rain and hail storms. Additionally, the North Texas area has clay soil, which is particularly sensitive to moisture changes, affecting your home’s foundation. When rain is allowed to pour off your roof with no channeling of the rainwater, flowers and shrubs underneath your roofline can get pelted and damaged, and the soil in your flower beds can be washed away, causing soil erosion and unsightly ruts. “Without gutters, water can also cause dampness on outside walls, which can cause mold to grow and timber to rot,” said Matt Reilly, CTO at Reilly Roofing. Worse yet, without gutters, water can pool in areas near your house, causing serious damage to a home’s foundation. This is especially important in North Texas, with our clay dirt, which easily contracts and expands based on the amount of moisture in the soil. “It’s best to keep the moisture levels steady across your entire foundation, rather than having areas where water pools and other areas that are dry,” said Rich Frazier, owner of Frazier Roofing & Guttering. Many newcomers to Texas are surprised to learn that it’s extremely helpful to “water” your home’s foundation in the summer for the same reasons. Consistent and even moisture levels around the entire home are best. Inconsistent moisture levels, with pooling water in some areas, can cause serious damage to a foundation. “Gutters save homes from unnecessary and expensive repairs,” said Reilly. What are the different types of gutters? What are the pros/cons of each? “There are six main choices for gutter materials: aluminum, copper, steel, galvalume, zinc and vinyl,” said Reilly. Aluminum Gutters: They are corrosion-resistant, lightweight, available in a variety of colors and less expensive than all the other materials, except vinyl. On the flipside, hail can damage them relatively easy because they are lightweight. Copper Gutters: These gutters cost more than aluminum ones, but they last longer and do not need painted. However, they’re considerably more expensive than any of the other options, which is why they aren’t as common. Galvanized Steel Gutters: These gutters are made of zinc and are very strong, but they are prone to rust. Galvalume Gutters: Steel gutters with a coating of aluminum and zinc. It is a strong and durable metal that can last nine times longer than gutters made of galvanized steel. Zinc Gutters: Similar to copper, gutters made from zinc do not need to be painted. Although they do cost more than aluminum gutters, they don’t need paint, require little maintenance and their lifespan is twice as long compared to aluminum. Vinyl Gutters: Also known as PVC or plastic gutters, these are the least expensive and easiest for homeowners to install themselves. The downside to vinyl gutters is that when they get hot, they tend to twist, so they aren’t as sturdy as other options. What is the advantage of using a gutter installation company that is also a roofing expert? While it isn’t necessary to use a gutter installation company that is also a roofing expert, it does provide an advantage. Additionally, because gutters are typically attached under the roof’s drip edge, it’s important that they are attached properly, without impairing the roof shingles. If I have gutters, how do I know when I need my gutters repaired? Replaced? “You don’t need to replace your gutters if the original ones are straight, solid and don't leak,” said Reilly. Vinyl gutters can’t be repaired, but others, such as steel or copper gutters, can be repaired if they are leaking. If this is the case, Reilly recommends contacting a local sheet metal shop. How often should I clean my gutters? Is there maintenance I can do on my gutters to help them last longer and work properly? The critical maintenance task for your gutters is to make sure they stay clean. What about gutter guards? Do I need them? There are 3 basic types of gutter guards available that homeowners can add to their gutters: gutter screens with large holes, gutter screens with small holes and gutter caps. Gutter screens, designed to block leaves and debris, attach to the top of gutters. Gutter screens with small holes are more expensive than those with large holes, but prevent more debris from making it through. 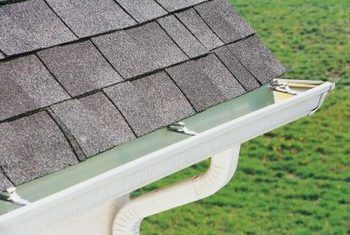 “Gutter caps, at about four times the cost, cover the entire gutter and often have a lifetime warranty,” said Frazier. Both Frazier and Reilly point out that no gutter guard product is perfect. When my home is being re-roofed, what do I need to know about my gutters? If your home needs re-roofed due to North Texas hail damage, chances are that it’s best to replace your gutters as well. First off, if hail damaged your roof, it’s likely that it damaged some or all of your gutters as well. Even if your gutters haven’t been damaged, if you have typical gutters, such as aluminum or copper, it’s virtually impossible to take the gutters off and put them back on without damaging them, he added. “There’s too much movement and room for them to bend, twist or get a kink, so if you have to remove your gutters for any reason, it’s best to replace them,” said Frazier.